In many ways this makes sense. 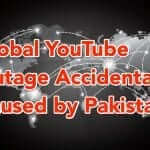 Google has one of the largest, if not the largest, content delivery networks (CDN) in the world. By aiming at the online, streaming game market, Google can not only leverage that dominance, but also leverage their relationships with the gaming industry – in particular game makers – and with content creators, such as those who are creating content on YouTube (yeah, that’s a spoiler). In other words, a whole lot of gamers immediately, and even more in the future. 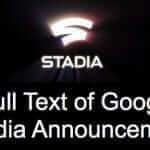 In addition to being able to access and stream the games via Google Stadia, Pichai announced the Google Stadia Controller device, noting that the Stadia Controller had not yet been approved by the FCC (Federal Communications Commission) and that, in accordance with Federal law, the Stadia Controller would not be available for sale until the FCC had approved it. Now, here’s where the marriage of gaming and content creation happens: the idea is that you will be on YouTube, watching a video about a game, or watching others playing the game, and instantly be able to hit a “Play Now” button, which will take you to the game so that you can play it. While you can’t yet purchase the Google Stadia Controller, you can get information about Google Stadia here, and you can watch the whole hour-long announcement of Google Stadia here. 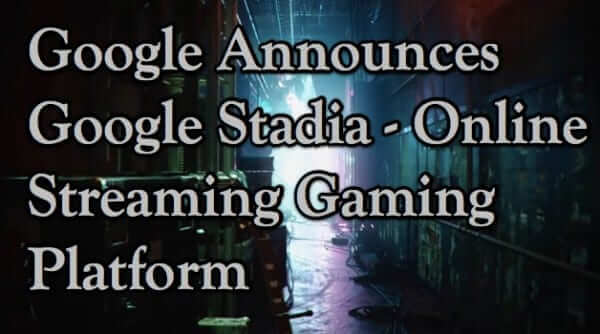 You can also read the entire Google Stadia announcement from Sundar Pichai, et al, here. 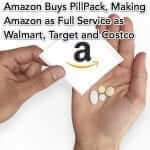 Prev What is the Florida Man Challenge and How Did the Florida Man Challenge Get Started?